Town Bloody Hall (1979) was edited by Chris Hegedus from D.A. 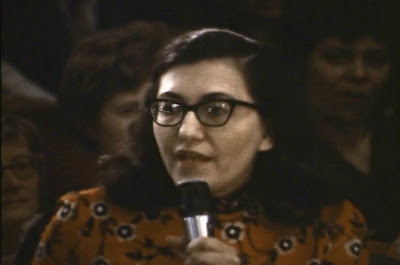 Pennebaker's footage of an April 30, 1971 "dialogue on women's liberation." Nick Doob was one of the camerapeople; as in A Perfect Candidate, he gets up close. 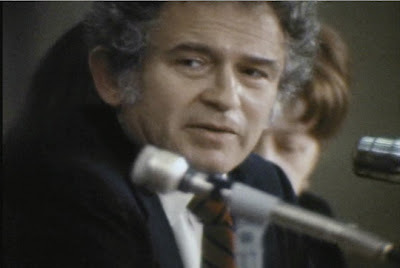 Norman Mailer fleetingly looks like he's about to start laughing when he goads the four women on the panel (above, top). 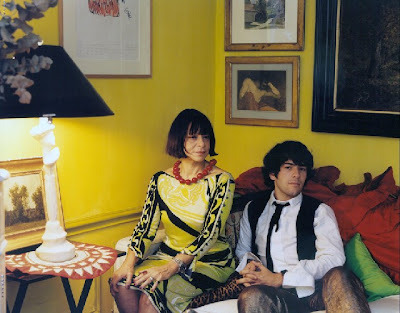 Susan Sontag (middle) and Cynthia Ozick (bottom), making statements from the audience, are captured with a good sense of their personalities. 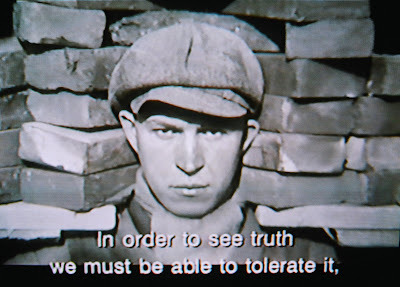 Max Kestner's 2004 autobiographical film Rejsen på ophavet (Max by Chance) is a short (29 minute) treasure. 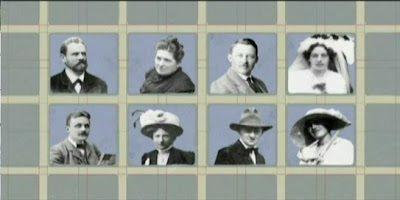 The filmmaker's narration tells about his identity stemming from one particular set of great-grandparents (on grid, above). The film is richly illustrated with moving and still images. The story is like a fairy tale, filled with digressions, coincidences, eccentrics, and philosophy. The unusual and mesmerizing Kurt Cobain About a Son (2006) by AJ Schnack sets Cobain's recorded voice (interviews by Michael Azerrad) to a stream of images. 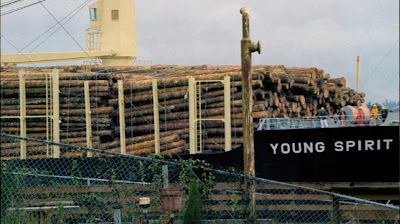 Roaming from Aberdeen to Olympia to Seattle, the camera captures people and places that elliptically connect with Cobain's commentary and suggest his hardscrabble origins. 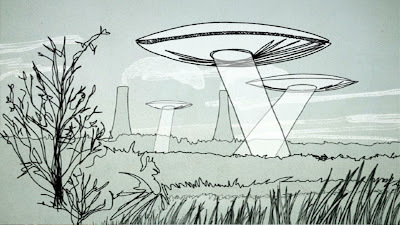 Schnack's depiction of natural and man-made landscapes include wry visual flourishes (such as the Young Spirit barge, above). In the audio recordings, Cobain's distress is palpable, and the insights to his personality and music show what good interviewing can do. 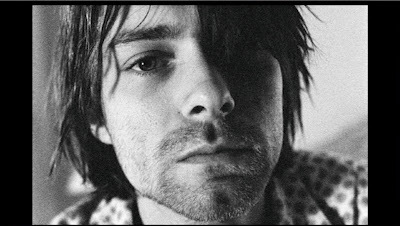 The film's intent is to allow Cobain to represent himself with words; the film succeeds without Nirvana's music and a only a brief image of Cobain. 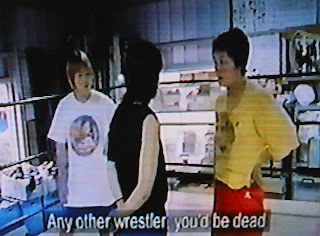 Gaea Girls (2000), by Kim Longinotto and Jano Williams, is a great example of the depth and vision that results when documentary makers gain access to a subculture -- in this film, the world of women's wrestling in Japan. The aspiring women wrestlers' training includes disturbing violence and blood, which at times would seem to be difficult to film. Discussing how she shot one of the fights, Longinotto told Indiewire's Philippa Bourke that "being behind the camera does kind of inure you a little bit, because you're worrying about focus and framing and you've got something to do. But I was crying all the time that we were filming." Twelve Disciples of Nelson Mandela, by Thomas Allen Harris (2005) tells a historically important and deeply personal story using a wide assortment of documentary tools. We meet a group of anti-apartheid activists and also learn about the larger context of nationalist movements in Africa. 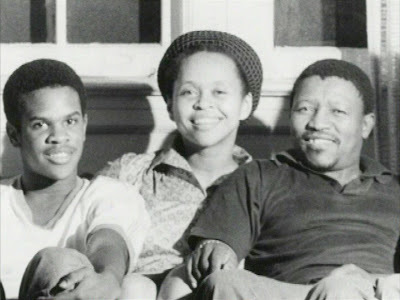 One of the South African activists, now dead, was the filmmaker's stepfather, Benjamin Pule Leinaeng, and his story ties the larger sweep of history to the relationship between parents and child. Modern day interviews with the participants (top still: Harris's mother), old photographs and home movies, and effective reenactments (bottom still) seamlessly work together. 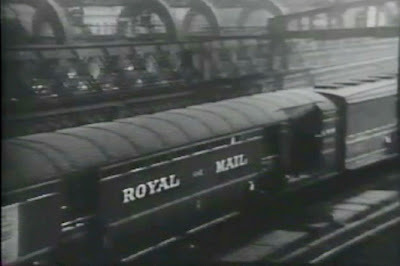 Night Mail (1936) depicts modernity, or at least what modernity looked like when the film was made. 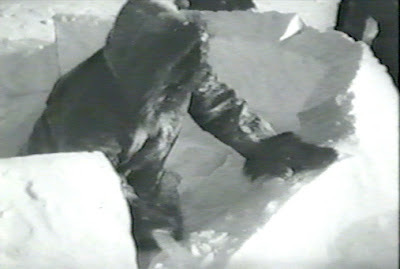 John Grierson was involved in every aspect of the production, using his protégés Harry Watt and Basil Wright to direct. W.H. Auden wrote the train-rhythm poem; Benjamin Britten composed the score. The film exemplifies "Griersonian" documentary, showing a still-fascinating process (a train racing through England delivering letters) and the humanity and camaraderie of workers. 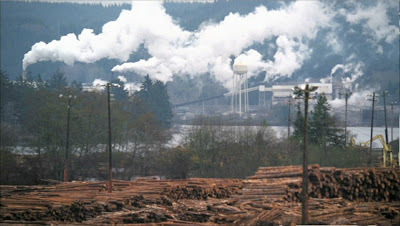 The film has a strict construction; its didactic tone is tempered by the lyricism of the music, poetry, and landscape. 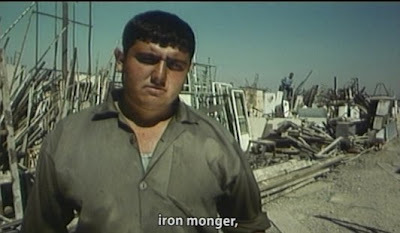 Egg Lady (Olu Kundze) by Una Celma (2000) is a short and sweet portrait of a worker in Latvian bakery. 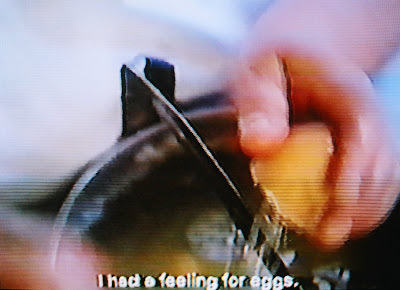 Aina cracks thousands of eggs each day, philosophizes about work and love, and remembers her dancing days in the past. One person's life story and occupation can be transformed into a meaningful documentary without fame and glitz. 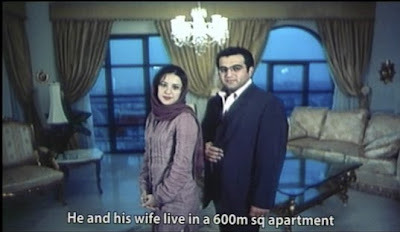 Tehran Has No More Pomegranates (2008) is an ironic "city symphony" and an ode to the best and worst of urban modernization. Fortifying his account of the history of Tehran, filmmaker Massoud Bakhski uses evocative archival footage and countless old photographs of people and places. 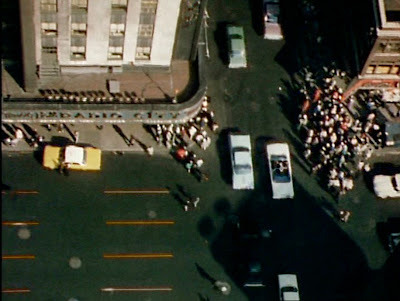 The contemporary city, in contrast, is vividly filmed in color. 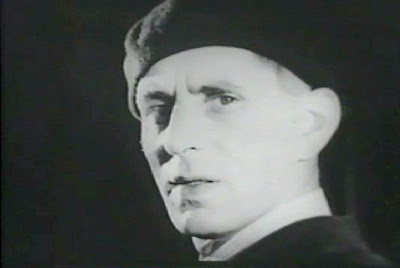 Bakhski's narration, satirical at times, comments on the filmmaking process. And the film crew does make several appearances (top, in shadows). Residents of the city are often shown standing, gazing into the camera, some with time-lapse photography (bottom). Views of busy freeways, shot from above, are a lot like those in Koyaanisqatsi. 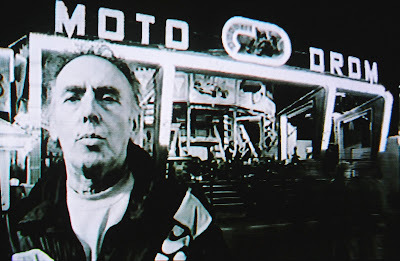 Jörg Wagner's Motodrom (2006) is nine minutes of black-and-white kinetic energy. A loud, wordless soundtrack accompanies images of a motorcycle-show set-up and performance. 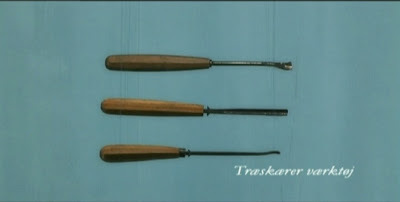 Three daredevils motor around their arena, a flimsy wooden centrifuge. An unusual moment of stillness (above) is a time-lapse sequence. Marie Menken's experimental film Go Go Go (1962-64) used time-lapse photography to highlight the speed and frenzy of the city of New York. A hypnotic sequence filmed from above (top) reminded me of a similar part of Koyaanisqatsi (1982) by Godfrey Reggio (bottom). Some terrific documentary video is shot and edited for the web. Washingtonpost.com, for example, has a "CameraWorks" section with dozens of enticing shorts. Above, two stills from a particularly good video (episode 3 of a series) about trendy fashions at a downtown magnet high school. It's informal and fun to watch, with an array of characters, creative framing and cutaways, and snappy editing -- all with a limited time frame and budget. A graffiti artist known as "blu" documents a series of wall paintings and stop-motion animations, posting the videos on the web. MUTO was shot in Buenos Aires and Baden, Germany with a delightful soundtrack by Andrea Martignoni. Short camcorder videos can be effective tools for social and political advocacy. Barack Obama's presidential campaign had an online video approach detailed in an interview with the campaign's video guy, Max Harper. Harper says that the online audience for advocacy videos expects a certain level of video production: "if you send out a poor quality video...it doesn't engage them or they can't hear it or see it or it's too long." These issues are ones for camcorder video documentarians to remember: get good visuals and sound in the field, and edit for engagement and succinctness. 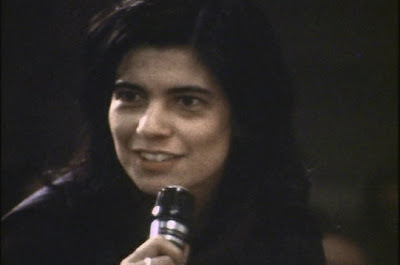 A tiny camcorder or cell phone can record memories and one-time-only events, such as a rock band joining together for the first time in years during a college reunion party (above). For these videos, only one part of the problem is the inherent visual quality of the camera. There's also the darkness of the room, hand-held-camera shakes, and muddy sound from a built-in microphone. Never mind: when a minute or two of this video was posted on Facebook, the video drew "hey, do you have any more of that footage?" comments from the band members. Budd Schulberg's New York Times obituary on the web was accompanied by a 17 minute life history video comprised of a single interview. Occasionally, the interviewer is heard asking a question, and there's some narration to pull the timeline together. It's a solid example of a flattering autobiographical interview with an older person, because it includes (a) subtitles for the moments when spoken words can't be easily heard, (b) photographs and other visuals to break up the "talking head" interview, and (c) editing out easy-to-cut hesitations and difficulties remembering a name. Photographer James Nachtwey has had an illustrious career covering war and conflict. Christian Frei's film, War Photographer, asks penetrating questions about taking pictures of unspeakable suffering. Nachtway, at one point in the film, says a photographer should be a stranger in that situation, subverting the conventional wisdom that it's best to spend time and get acquainted with people prior to documenting them. Note the use of a mini video camera attached to the top of Nachtwey's still camera to show his point-of-view. 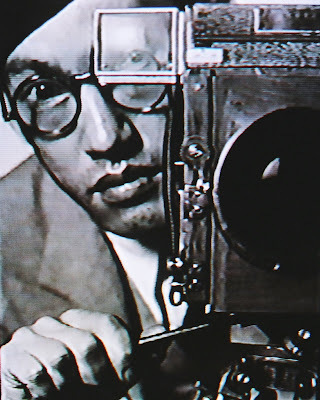 Toyo Miyatake: Infinite Shades of Gray (2001) by Robert A. Nakamura tells the story of a Los Angeles photographer who was sent to the Manzanar concentration camp. The filmmakers show Miyatake's documentation of the Little Tokyo community before World War Two and his Manzanar pictures in a valuable 30 minute tribute. 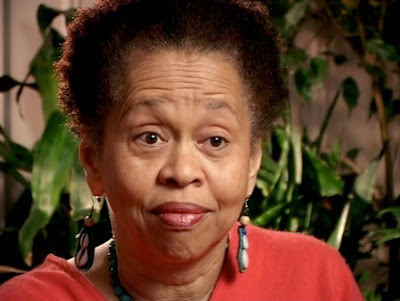 One Shot: The Life and Work of Teenie Harris (2001) by Kenneth Love shows the depth and liveliness of a photography career devoted to one's hometown. 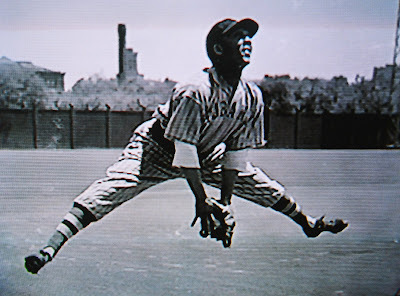 Pittsburgh's Charles "Teenie" Harris was known for snapping one image for any given assignment, and his photographs, used liberally throughout the documentary, share a well-composed immediacy. August Sander: People of the Twentieth Century by Reiner Holzemer (2002) gives a fascinating and sympathetic portrayal of the photographer, who depicted Germany's diverse population prior to World War Two. 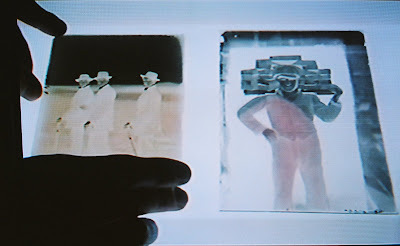 The film includes a generous number of Sander's photographs (and negatives, above). 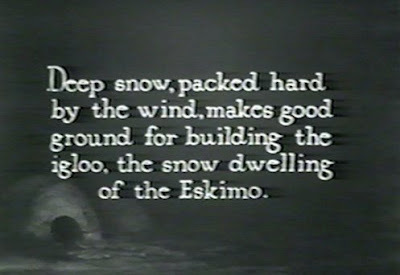 Robert Flaherty's Nanook of the North (1922) is a silent film in black & white. There is some explanatory text, but mostly the actions of Nanook and his family are shown by observation and editing. The igloo-building sequence has seeped into popular consciousness; for many, it's the way igloos are made.